“I can see you, my son, in front of the television engrossed in the cartoons and in the football matches. We sit on the sofa together and you immediately ask me about the referee. Maybe it’s because when he’s dressed in yellow he grabs your attention, just like the characters from the cartoons. You like watching the man who has to decide, instantly, on a penalty, an offside, a foul. And it’s on him that the people on the terraces unload all the week’s resentment, all their anger in defeat. In football there are many solitary roles: the center forward and the goalkeeper, for example. But the man who is really alone is him, my son, the referee who brings a smile to your face. I’ve known several referees over the course of my career, and I’ve found sadness in all of them, a sadness that’s never been revealed before: it comes from those difficult years, for example, refereeing on pitches where there’s no protection, refereeing lads who don’t yet shave and are bullied by furious fathers, obsessed managers and violent, disrespectful players. It all makes you want to say enough is enough. 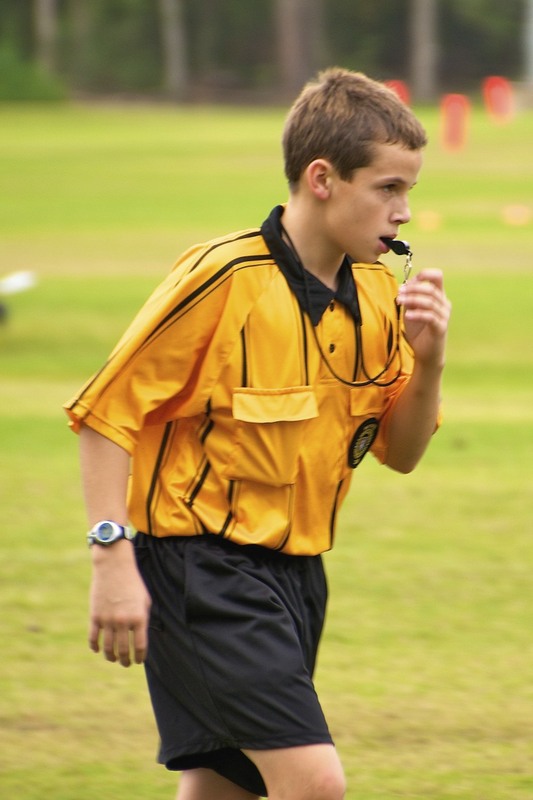 I’ll always feel for those youngsters who go off to referee in the trenches, their only protection their own courage. Youngsters who rather than go for a night out at the cinema with friends, choose to dedicate themselves to making sure that the secular rite we watch together from the sofa starts in perfect time. – Pierluigi Collina, the man whose stare could reduce celebrity soccer players to silence is considered the best referee in the world, having been named FIFA’s ‘Best Referee of the Year’ six consecutive times. Currently head of UEFA Referees (https://en.wikipedia.org/wiki/Pierluigi_Collina). Previous article	← 100 ways to flick up the ball – share with your kids! I wish we could bottle the magic that is Collina.